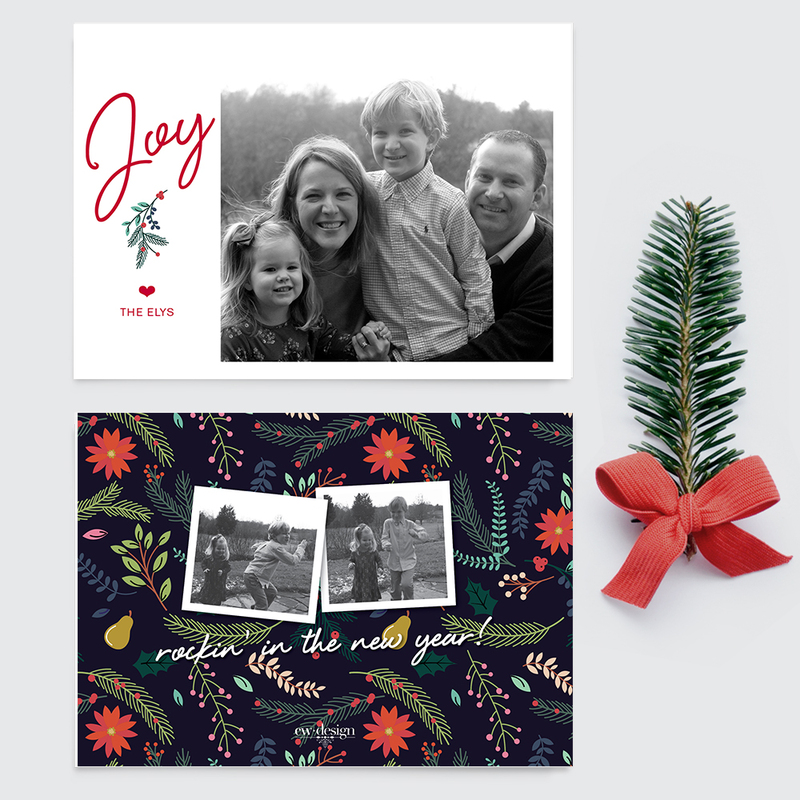 Send your annual holiday card with style and simplicity, and customize as you see fit. 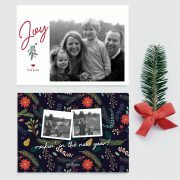 Your family photos will look great in these simple and modern holiday photo cards with the add on bonus of free backer options. Custom backer options can include photos, a personalized message, or any other details you wish. I will select coordinating graphic colors to go with your photo, or let me know if you have a specific idea in mind. You will receive a pdf proof to approve before printing (for best viewing results, please view from a desk top computer, mobile phones will distort colors). All holiday cards ship USPS Priority Mail which lands them on your doorstep within 1-3 business days (from ship date).